sailboat. 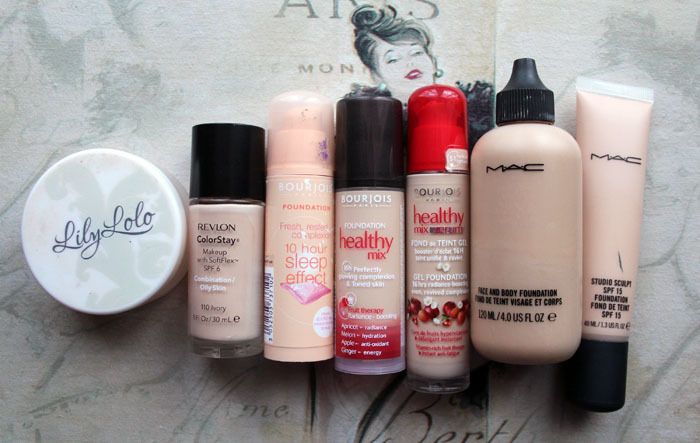 : My all time Favourite Foundations. A couple of years ago foundation was a make up item that I relied on to help boost my confidence when I had a lot of acne. Now, although I still enjoy foundation and the results it can give, I am able to leave the house without wearing any make up at all. Acne can so easily knock confidence and I think it's okay and perfectly normal to want to cover it all up before leaving the house. It's all about finding the right foundation that works for you. I have included foundations that I adored when my skin was more oily/combination and I had quite severe acne and also the foundations I love now that my skin is clearer and much more on the dry side. My skin was quite nice up until I turned around 18 or 19 & almost out of nowhere I developed severe acne. It was all over my chin, cheeks and nose & at times it was also super painful because my skin got so sensitive. It was such an upsetting time I began not leaving the house unless I absolutely had to because I felt like everyone would stare at me whenever I went out. In reality, they probably weren't but any self confidence I had at that age had completely disappeared. Up until this point I had never really worn a lot of make up so I decided to have a little search on the internet to see if anyone had found a foundation that would cover up acne but also not be too harsh on the skin. In doing this I discovered a wonderful foundation and also the YouTube beauty community. If it weren't for this product I probably never would have found the beauty bloggersphere! Lily Lolo mineral foundation was the one I discovered and I absolutely fell in love. In recent years they have developed their shade range, but I was mixing shades Porcelain and Blondie to create my perfect match. I loved everything about this foundation, it's super easy to apply, it doesn't feel like you're clogging your pores with unnecessary chemicals and you can really build up the coverage by adding more light layers. I feel like my skin is too dry to use this as a foundation now but I still use mine as a setting powder over my liquid foundation and I love it for that too. 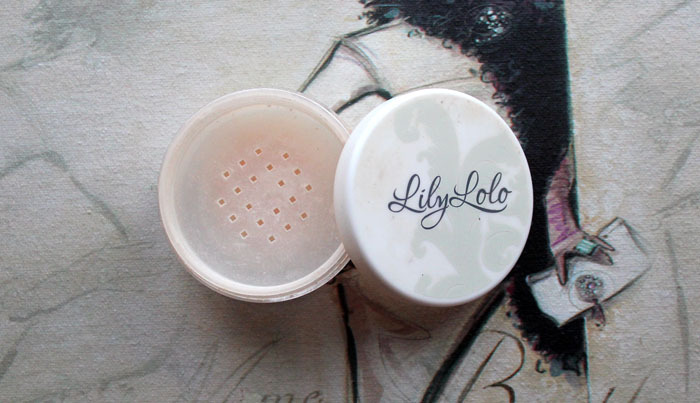 Lily Lolo is a fabulous brand and I also love their mineral blushers, the pigmentation of them is amazing! When my acne began clearing up I was left with a lot of redness and a lot of scarring. 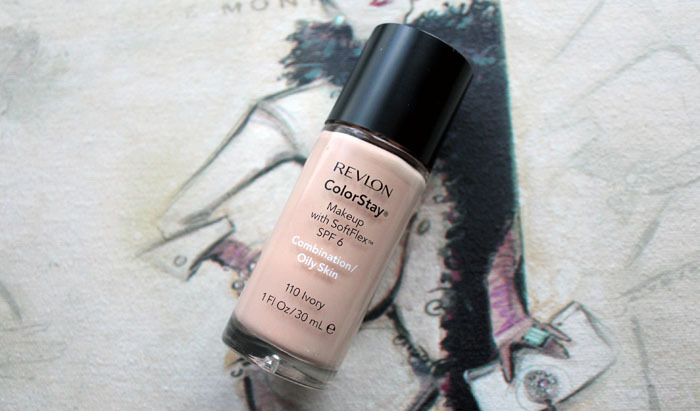 At this point I felt like the Lily Lolo wasn't offering me quite as much coverage as I would have liked, so I turned to Revlon ColorStay foundation in the shade Ivory and I absolutely loved it. This was so hyped up in the beauty community at one point and I knew I had to try it. It smells quite like paint and it's super thick but with a bit of work you can really get it to blend in and look flawless. This is too heavy for me to wear now but I went through a good 2 or 3 bottles of this and I adored it! 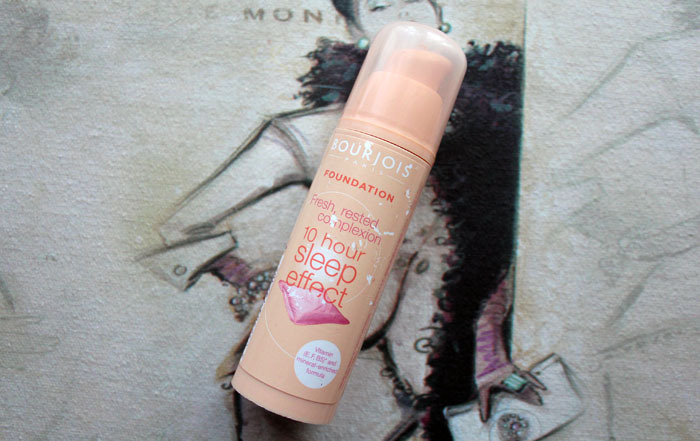 The next foundation that I really fell in love with is the Bourjois 10 Hour Sleep Effect foundation in the shade 71. My skin, at this point was beginning to get more dry due to the acne medication I was taking and I was really after a much lighter foundation because the warmer weather was approaching and I remember that summer was super hot. The last thing I wanted was to be wearing a heavy foundation and feeling uncomfortable in the heat. 10 Hour Sleep Effect gave me a light to light-medium coverage and most importantly, it didn't look like I was wearing a lot of make up. It gives a very natural look while still evening out the skintone. I still adore this foundation now, although I have the lightest shade it's a little dark for me during the winter months but I always have a bottle of this in my make up collection in time for summer! 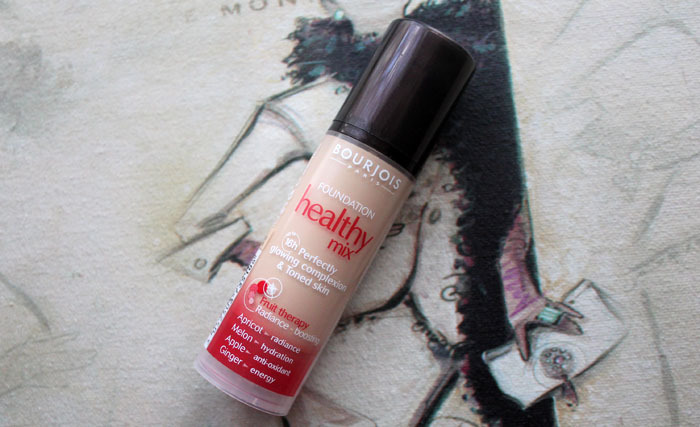 The next foundation to hit shops that everyone loved was the Bourjois Healthy Mix and I knew I needed to try it. I think it was starting to get cooler and I wanted something that would give me a little more coverage but still look quite natural. I love Healthy Mix, the lightest shade is an almost perfect colour match for me, it gives a nice medium coverage without looking too much. The only thing I would say is that if you have especially dry skin, you might need a super good moisturiser underneath because I find that this can highlight dry areas a little. 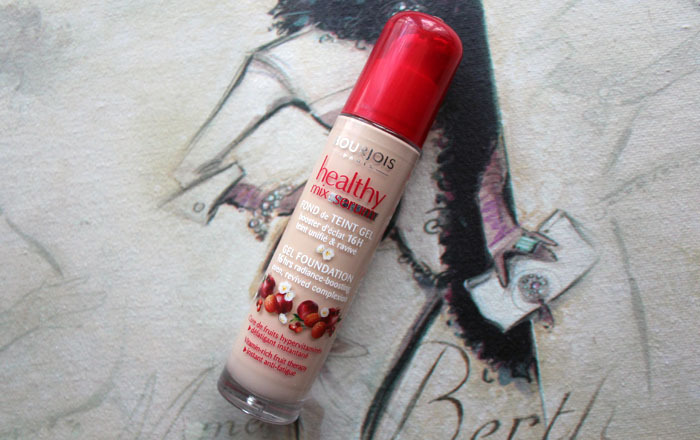 When Bourjois Healthy Mix Serum was released I pretty much ran to Boots to purchase it. This is hands down one of my all time favourite foundations, I would say it's in my top three. This offers a little more hydration than the original Healthy Mix so it doesn't highlight any dry areas on my face. This gives a lovely medium coverage that can be built up or sheered out depending on how you want to wear it and most importantly for me, it looks natural. I have the shade Light Vanilla and although it is a tiny bit too dark for me, it's nothing a bit of blending doesn't fix and I don't think it's hugely noticeable. I just love this, I don't think I can say enough good things about it! 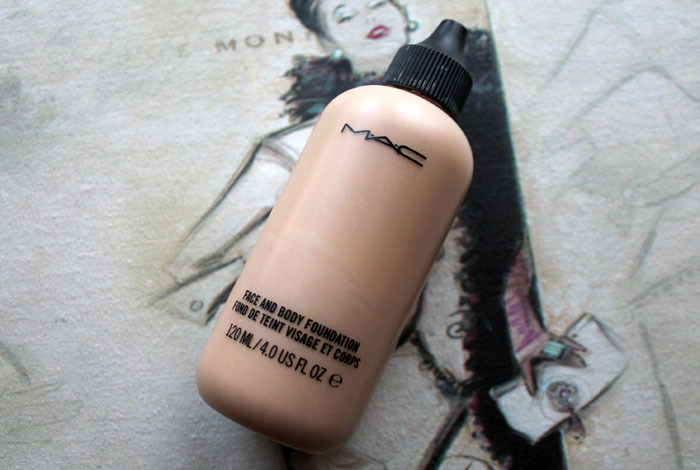 Another all time favourite foundation is MAC Face & Body. Now for me this is a definite summer foundation purely because of the colour, shade C1 is too dark for me in the winter but it's perfect for when the sun decides to come out. This is a water based foundation, it's super runny but I find it so easy to blend and it looks wonderful on the skin. The thing I love the most about this foundation is that once it's on the skin, it's not going anywhere until you remove it at night. I don't think I will ever be without a bottle of this in my make up stash. It's well worth every single penny! 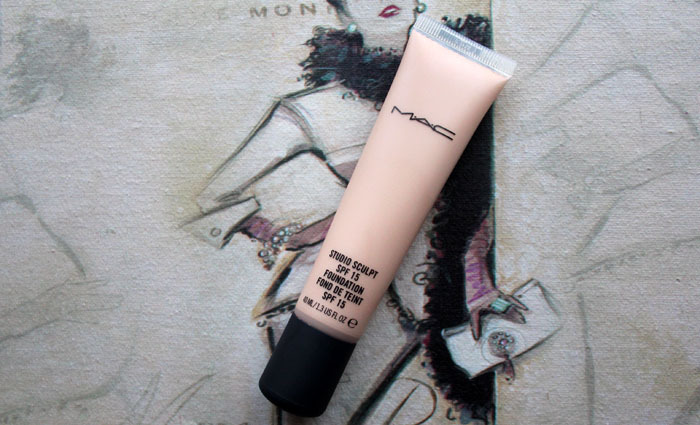 Finally, my last favourite foundation is Studio Sculpt from MAC. Like the Bourjous Healthy Mix Serum foundation this is also gel based so perfect for dry skin. A little goes a really long way with this, I only use about half a pea sized amount to cover my whole face otherwise I find it can look a little cakey. This is one of those foundations that gives you a flawless finish & covers pretty much everything you would need to cover. I tend to wear this the most in the evenings but I have worn it lots in the daytime when I'm really going for that flawless base look. It doesn't feel to heavy on my skin and the colour NC15 is the absolute perfect match for my skin tone. For me, this is well worth every single penny even though it is quite pricey! What is your all time favourite foundation? I would love to know! Have you tried any of my favourites before? What did you think of them? I use the old bourjois healthy mix but I think I do have the problems with it showing dry areas so maybe I will try the new one, as I love the coverage the old one gives but I need something with a bit more hydration. As an acne sufferer myself (I have had it since I was 10, I'm now 21!!) I was just wondering what you used to finally get rid of it? Your skin always looks so great! I'm a complete newbie to wanting to use foundation, bit late to the party aged 26!! May have to try the Lily Lolo! lovely post!i 've had acne for the past 13 years!i'm 25 now!i've been on roaccutan 4 times and acne always comes back!My last treatment showed some results and now i feel free to go out bare faced!don't get me wrong my skin is still a mess but i can appreciate the fact that's not full of pimples!I'm so going to try mac face&body! I use the original healthy mix at the moment and really like it but have found recently that it does tend to highlight dry patches and kind of separates and looks a bit patchy (if that makes any sense haha) so might try the serum version out! I love the Bourjois Healthymix ranges, and like you I adore the serum version so much! I love reading about what foundations people use and like :) so I really enjoyed this post! I think I need to try the Mac Studio Sculpt, I've heard so many amazing things about it! I really want to treat me to some face & body! Great picks! I LOVE the revlon! Great picks! !